Courtesy of Compass, Jasana Singer. With gorgeous marble floors, massive vaulted ceilings and open concept living space, this is truly the best home in Laguna Sur. The gourmet kitchen is outfitted with top of the line stainless steel Thermador appliances, built in storage, 80 bottle temperature controlled wine cellar, marble counter tops, and breakfast nook, this kitchen is every chefs dream! All of the bathrooms are finished with custom vanities, toto toilets & porcelain tiles. Come by today to see for yourself! 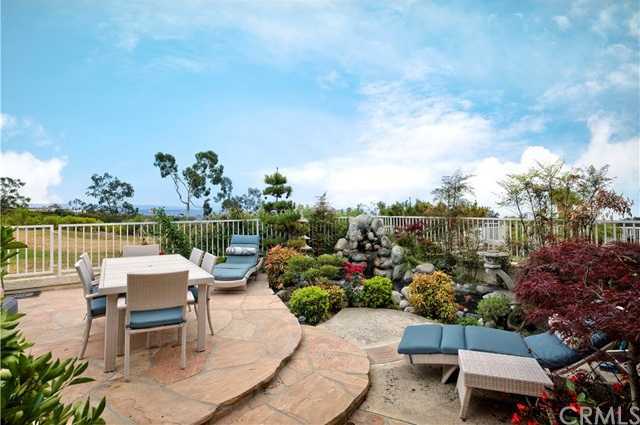 Please, send me more information on this property: MLS# LG19028426 – $1,375,000 – 34 Marseille, Laguna Niguel, CA 92677. I would like to schedule a showing appointment for this property: MLS# LG19028426 – $1,375,000 – 34 Marseille, Laguna Niguel, CA 92677.